A personalized wine club that gets to know what kind of wine you like through a wine-preference quiz and the ratings you give for wines from previous shipments. Sends four bottles of wine that match your preferences, monthly. Bright Cellars has amazing customer service and offers a cheese-pairing option as an add-on. We've liked each shipment better than the last, and this corresponds to seeing our Bright Points (accuracy of matching) increase, too. While the wine is fine, we'd like to see a more focused adherance to selecting wines that resemble the grapes on the bottle. Typicity is a hallmark of quality wine. At $15 a bottle, great quality is rarely achievable, but better typicity would certainly increase the value being offered here. 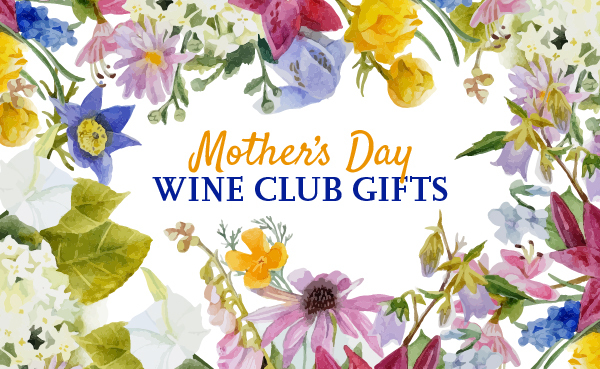 A Bright Cellars Club membership costs $80.00 for 4 bottles of wine. Shipping costs extra and is $8.00 per shipment plus sales tax where applicable. The price per bottle, with shipping, is $22.00. Shipments are sent monthly. Subscribe and cancel any time. Bright Cellars is a wine club founded in 2015 with the belief that a computer can pick a personalized selection of wines for you that you’ll love. In this, the dawning of the age of artificial intelligence, it is no wonder a plethora of companies have popped up with the intention of leveraging computers to demystify the process of selecting wine. The jury is still out on whether this is a plausible endeavor, however it’s worth digging in deeper to learn more about them. The first step for any artificial intelligence interaction is “training.” This means someone provides the algorithm with some basic data from which to make decisions. In the case of Bright Cellars, this means a quiz about your wine and taste preferences. They, like their competitors with palate quizzes, ask you about your chocolate preferences, your tea preferences, what you drink when you’re out of wine, what kind of fruit juice you like, how you like to pair your wine (this is a lifestyle question), and how adventurous you are. Here’s where I should talk about the Bright Points, because it’s not what you think. They sort of come across like some kind of critical rating system, because that’s the point-related language we’re used to with wine. It’s basically a %-based rating of the accuracy of the match to our preferences (or how confident they are that we’ll like the wine selected). Their matching improved with input, evident in their Bright Points and in our approval of the wines in our shipments. In our first shipment, when our quiz results were the only info about us they had available, our matches were two with 94 Bright Points and two with 92 Bright Points. Our first shipment from Bright Cellars (in April) was rather disappointing — three of the four were sub-par and only the Moscato tasted like the grapes specified on its label. I've since learned that three of those four wines were not part of their custom-made program, which now accounts for 100% of their wine selection and may help explain why our opinion of their wine has improved over time. We contacted Bright Cellars to see if they could help us get a better shipment without cherry-picking the best of their inventory, and they obliged. The process they engaged for us is something they claim they’d do for any customer (+1 for Bright Cellars for having this level of interest in making customers happy). I told the nice lady on the phone about my wine preferences and she listed off a selection 8-10 wines I could choose from that she felt would be better matches. I picked some based on personal preference and some “testers” to see how Bright Cellars do on wines that are generally less expensive and often of mediocre quality. Then that nice lady mentioned the optional cheese pairings and I didn't hear anything after that. Just kidding! I asked a bazillion questions about how they pick wines for their program, what factors are considered in the algorithm, and what kind of customizations users can make — the most important one is to block a grape variety that you don’t like (+1 for negative matching, which is equally important as positive matching in personalization). And then the second shipment arrived. This one was better. We explore the quality of the wine and whether or not it’s priced appropriately further down in the review. We sort of oopsied and got a third shipment on the house (handled very professionally, I might add), which reflected our ratings on the wines in the second shipment. So far, so good. We’ve had two of the four wines so far, and I think, like most “machine learning” systems, the more input they have, the better they’ll be. For us, a bright spot in the Bright Cellars offering is their cheese program, now called The Tasting Board and hosted on a separate website. There are two options for their cheese program. One is to just sign up for their “cheese of the month” club tailored to your personal cheese preferences ($64) and enjoy both a 5th cheese in the first shipment as well as half-off your first shipment (a savings of $29.50) when you sign up with this link. Additionally, there is a surprise gift in every shipment from The Tasting Board. The second option is presented when you enroll in Bright Cellars where you can add a cheese pairing option to your monthly shipments ($48), free gift not included. We opted for the pairing, and the cheeses were matched to the wines we hand-picked for shipment #2. The cheeses were all excellent, even if not to everyone’s tastes, and the pairings were fun. The honeyed goat cheese and Sauvignon Blanc pairing was fantastic. I also really enjoyed the Merlot and montamore. The reasons we love this program so much are: 1) Easy to share with others; 2) Introduces us to new cheeses we’d never try on our own; 3) Somebody else figured out which wines to pair with which cheeses (because despite a library’s worth of books on the subject, it’s not an easy thing to do). At WineClubReviews.net we take an objective approach to our star ratings system. Our written reviews are very much subjective, based on our 10+ years of wine club review experience and our own ideas about what good wine and good value mean. The star ratings are based on 11 attributes that we feel define what a wine club should be. Here is how Bright Cellars Wine Club stacks up on these traits. Note: This rating is our objective analysis of Bright Cellars' satisfaction guarantee—not our assessment of whether or not you’re guaranteed to be satisfied with their wines. Bright Cellars offers a “Delight Guarantee. If you're matched with a bottle you don't love, contact your Bright Cellars Wine Concierge who will help you select a free replacement bottle in your next month's experience!” By our standards, this is the same as a satisfaction guarantee. Their refund policy in the Terms & Conditions document does not contain or match the language on their homepage, but we believe they’ll honor the Delight Guarantee as stated. This is the first time we’ve offered up a half-star for the personalization ranking factor. In general we believe personalization falls into three categories: preference-based (like red or white) which gets you 3 stars; personalized via algorithm/ratings (like Bright Cellars) which gets you 4 stars; or totally custom (you pick your own wine) which gets top ranking at 5 stars. We gave Bright Cellars an extra half-point here because, in addition to a customized selection of wines based on your preferences, you can tell their concierges “never send me Merlot,” or “never send me Chardonnay,” or whatever other grapes you know you don’t want. This is a nice feature. We’re not super impressed with the quality of wine from Bright Cellars. We’ve had three shipments and we’ve shared them with others to see if it’s just us — it’s not. Our primary critique of the wines we’ve received is that they don’t represent the grapes they say are in the bottle. Also, in general, we find the reds lack body and both reds and whites have strange-to-us flavors in them. These are subtleties that most wine drinkers might not notice, but we do. As compared with other wine clubs in this price range ($14-15 a bottle, delivered), we feel there are clubs offering better quality wine, albeit without the personalization service offered by Bright Cellars. We read an article about Bright Cellars in the Milwaukee Journal-Sentinel in which their CEO, Richard Yau stated, “Today, about half their brands are custom-made to reflect their subscribers’ preferences. They are called “Bright Cellars exclusives — custom brands with custom labels,” said Yau, adding that the rest of the wines are from small producers, with some national brands in the mix.” Since then, Bright Cellars is now using 100% custom-made wine. Since the wines are custom-made, we have no idea if the prices are good. We did notice that nonmember prices are $20 a bottle (minimum of 4 bottles) so the club prices at least reflect a 25% discount from their regular prices. Likewise, the gift shipment pricing is $18.75 per bottle delivered, a 6% discount from their regular prices. Bright Cellars offers our readers a nice introductory offer of 50% off the first shipment (this is a $30 discount and does not include shipping). Bottle reorders of your favorites cost the same as what you paid for your wine club shipments — $15/bottle. Reorders appear to have a minimum order requirement of 4 bottles of each wine. Their Wine Director (a certified sommelier) “and her team look for wines that fit flavor profiles represented by their membership.” Wait, what? Yes, that’s what they said. So, here’s how I’m interpreting this: Their algorithm understands body, acidity, bitterness, sweetness, and astringency (a combination of alcohol and tannins), but their customers don’t. Their customers rate wines for all of their properties, not calling out a specific aspect. The wine team’s job, therefore, is to find wines that fit the algorithmically-defined properties of their customers’ favorite wines and then order more of those types of wines. Bright Cellars excels at wine education in one way, those neat tasting mats. Otherwise they’re giving us VERY little information about the wines and the wine regions. Since most of the wine is “custom made” (which is code for imported bulk wine, not an insult, just a fact) we get no information about the winery or the winemaker. We don’t hold this last bit against them as we think stories about wineries and winemakers are generally very boring (we seem to be in the minority on this opinion, though). They do have a blog which you can peruse for additional wine education, though not necessarily related to the wines you receive. I have to say, I am quite impressed with the service I’ve received from every person I’ve interacted with at Bright Cellars. And while you might be thinking, “but you’re not a regular customer and they really want to please you,” well, then take my feedback with a little healthy skepticism. The truth is, I think customer service is one of the aspects of this company that sets them apart from most other wine clubs. The team members I’ve worked with are very courteous, professional, responsive, and really love their company. This is corporate culture (not sales), and that’s why I suspect all of the customer service interactions would be the same. Bright Cellars offers gifts in the form of gift certificates which can be redeemed online. Every wine they ship comes wrapped in teal tissue with a cheery Bright Cellars sticker holding it shut, so gift-wrap is covered. They also offer three different ways to notify your recipient of their gift: 1) Email (it’s instant, so order the day you want them to receive the notification); 2) Gift Envelope (regular mail is $5, next-day is $25); 3) Gift Box, includes corkscrew and confetti (regular mail is $15, next-day is $35). Gift pricing of $75 per shipment reflects the cost of the wine shipment ($60), shipping ($8), and leaves room for sales tax, if applicable. Note that your recipient might have credit left over if sales tax does not apply.